Why change? Customers are adopting disruptive technologies faster than companies can adapt. What is a connected company? A company that operates not as a machine but as a learning organism, purposefully interacting with its environment and continuously improving, based on experiments and feedback. How does a connected company work? It learns and adapts by distributing control to the points of interaction with customers, where semi-autonomous pods pursue a common purpose supported by platforms that help them organize and coordinate their activities. How do you lead a connected company? Leaders must create an environment of clarity, trust, and shared purpose, while management focuses on designing and tuning the system that supports learning and performance. How do you get there from here? Any enterprise involves risk and connected companies are no exception. But in times of change and uncertainty, the ability to learn and adapt faster than competitors gives connected companies an edge. 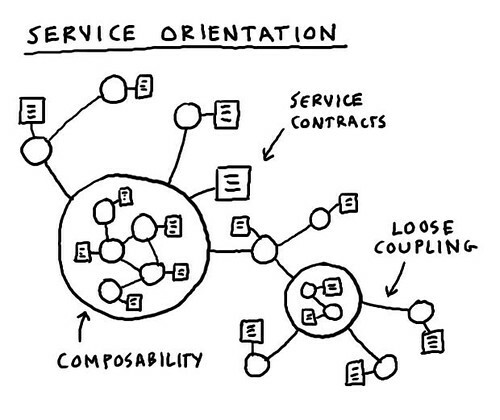 One of my favorite sections of the book is a short section in Chapter Twelve (“Wrangling Complexity”) that describes how service orientation evolved in the programming community and its three key components. Then Dave uses that to explain why companies like Netflix and Whole Foods are successful. These explanations are present throughout the book to help explain why and how companies need to change. The things that customers care about won’t change. However, the way that companies organize and operate must change in order to survive. Dave says, “If you want to become a connected company, there’s no reason you can’t start today.” A great first step would be to order a copy of The Connected Company.